The Highlands and Islands is a loose term for the most enormous swathe of Scottish countryside as varied as it is vast! It covers all ground from Inverness to the North and then west from Fort William out towards the rugged but spectacular coastline, then beyond to Skye and Harris. The land is covered with beautiful mountain ranges, magnificent beaches and glorious river valleys. Catch it in the right weather, then you'll be hard pushed to find a more magical place in the world. Many of the best places to stay in the Highlands and Islands have spectacular mountain or sea views, some have both! The islands in the region are spectacular and packed with variety. From the mountainous glories of Skye to the rugged beauty of Lewis, it's hard not be blown away by Hebrides. Beaches abound all along the west coast of Scotland with some of the finest being on islands such as Barra, Tiree and Mull. For something truly unique, fly to Barra and land on the white sands of the world's only commercial beach runway (checking tide tables is advised). For those keen on hiking, it's hard to look beyond Ben Nevis, the UK's tallest mountain. 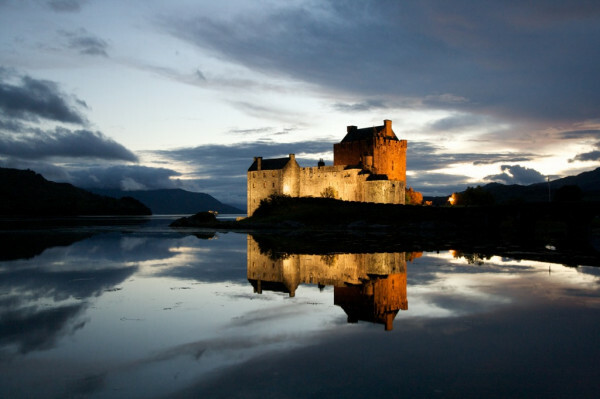 Found at the Kyle of Lochalsh, Eilean Donan is one of the regions most significant landmarks with the castle playing a crucial role in Scottish history since the 13th century. Inverness's fame has been mostly due to the nearby Loch Ness, which is full of charm whether you are looking for legend or landscape. It's hard not to associate Scotland with it's most famous export: whisky. The Highlands and Islands are home to the world's finest distilleries, so don't miss out on the chance to do a whisky tour when in the region. 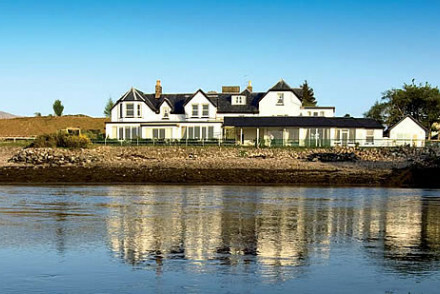 Our selection of the best places to stay in the Highlands and Islands echoes this variety with choices as diverse as Greshornish House, a remote but luxurious property situated on its very own peninsula on the northern shores of Skye or the Rocpool Reserve a chi-chi offering in the centre of Inverness. 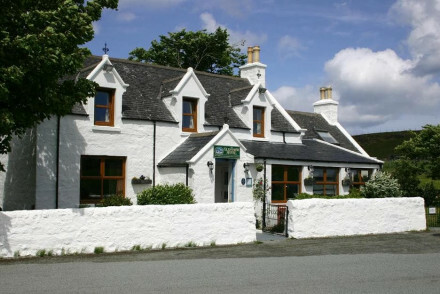 The Albannach, a Michelin starred establishment perched above Lochinver Bay. Offering homely accomodation and sumptuous food, it's a great stopping point for gourmet travellers. 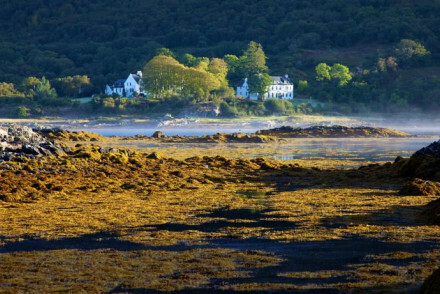 Kinloch Lodge on Skye, owned by food writer Clare MacDonald and her Clan Chief husband Godfrey, which boasts Michelin starred dining plus residential cookery courses, roaring fires and a very homely feel. The Torridon, a country escape on the shores of Upper Loch Torridon where opulence is twinned with contemporary design and 3 AA Rosette standard cuisine in the fine restaurant. 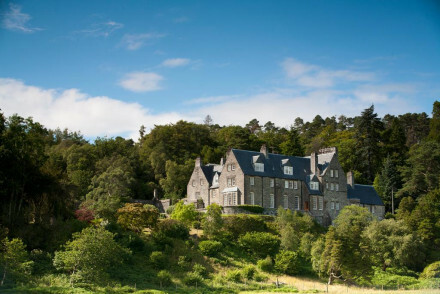 Glencoe House offers luxurious accomodation in a handsome baronial setting. 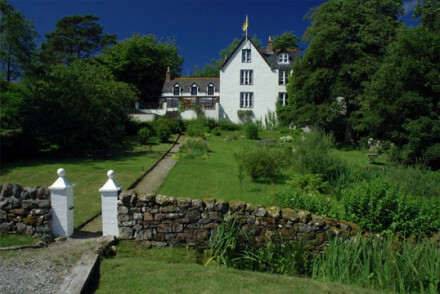 Featuring lovely rooms, beautiful surrounding gardens and an excellent in-house restaurant, Glencoe House does things in style. Fort William is the 'outdoor capital of the UK', so if your launching off for an adventure, The Lime Treeis a great accomodation option. Stylish rooms, an in-house art gallery and an excellent restaurant all combine to create a stellar guesthouse. If your looking for a luxurious place to retreat to after a hard days hiking, The Grange is a good choice. 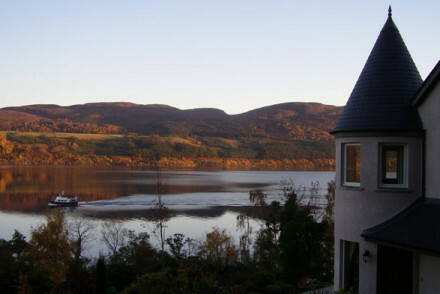 Set in a Victorian townhouse, it has lovely rooms and offers beautiful views out over Loch Linnhe. Arisaig House on the Road to the Isles. This fine Victorian mansion is now run as a relaxed B&B, but also offers a great solution for larger groups. Book in advance and they can provide picnics to take to the beach plus set three course dinners. 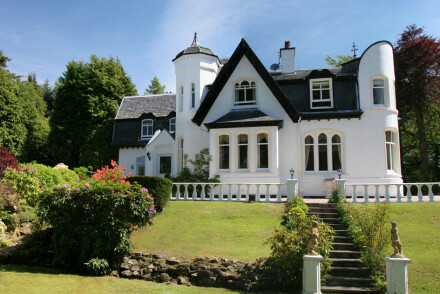 Loch Ness Lodge is a brilliant party property too. 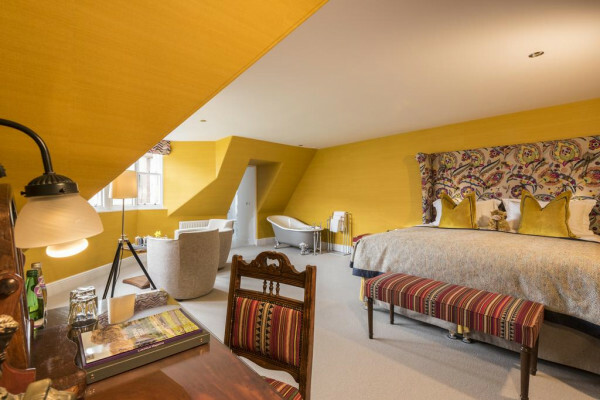 It has seven sumptuous rooms plus a highly skilled chef who provides creative and contemporary "Franco-Scottish" cuisine. On top of all this it has a top notch spa and great views over Loch Ness. 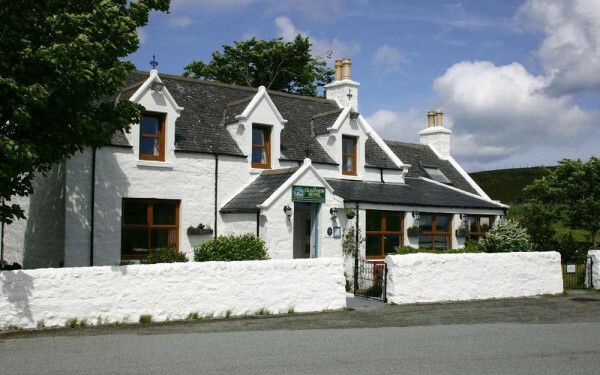 A delightful B&B out on the wilds of Skye, Glenview is a great option. Offering charming rooms, stunning views and an excellent restaurant focusing on local produce, it's the perfect base for a trip to Skye. Royal Dornach is one of Scotland's finest golf courses and Links House provides the perfect base for playing this classic course. With spacious, comfortable rooms and a great dining option, it's a good place to relax after a day on the links. Sometimes the best option is a self catering property, especially if you are travelling with a group or friends or family. We recommend the selection with our online partner Booking.com. 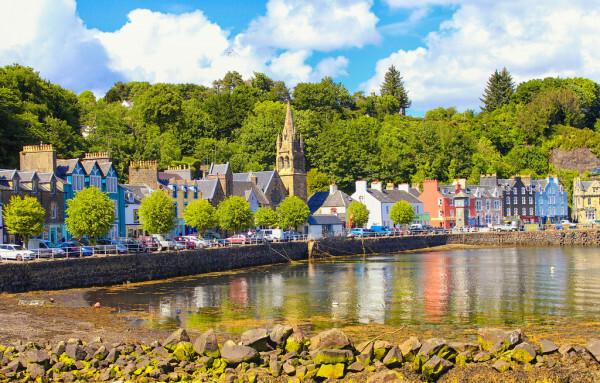 The best options for flying to the Highlands and Island are either to go to one of Scotland's major hubs such as Edinburgh and hire a car or fly to smaller regional airports such as Inverness in the north or Stornoway for the Outer Hebrides. Having a car is almost a necessity for accessing this area so we recommend visiting our online partner Holiday Autos. Weather is difficult to predict in the Highlands but the summer is the best option for travellers looking to explore the area. Check out our full list of the best places to stay in the Highlands and Islands and start to plan your trip. Nothing here of interest, then expand your search to include our recommendations for the Inner and Outer Hebrides or peruse our Ultimate guide to the best hotels in Scotland. Or contact one of our Gurus for more advice. A charming country property in a remote part of the Scottish Highlands. Five rooms have been simply yet stylishly renovated with soft hues and modern bathrooms. 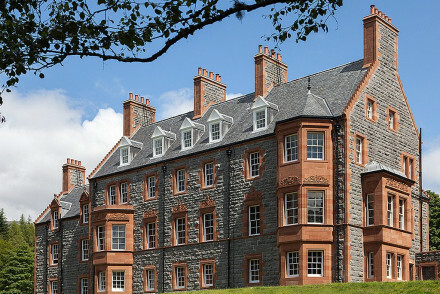 Plays host to a fabulous Michelin-Starred restaurant (Scotland's most northern). Stunning rugged countryside to be explored. Magical. Foodies - Enjoy a 5 course dinner in the Michelin-Starred restaurant overlooking the surrounding mountains. Great walks - Testing hill climbs or less strenuous exploring around the coastal paths. Sailing - Boat trips to surrounding islands can be locally arranged. Views - Over the sea loch to the mountains beyond. Country escape on the shores of Upper Loch Torridon. 53 acres of park and woodland provide many outdoor activities. 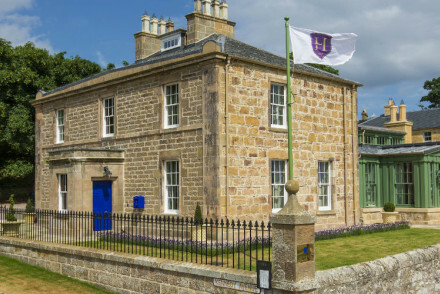 Scottish country house opulence twinned with contemporary designs. Seriously good restaurant and whisky bar. Beautifully located B&B. Country guest house in the Highlands of Scotland. Romantic escape with great views from the restaurant. Once the home of Lord Strathcona, this handsome country house is set in ravishing Highlands scenery overlooking Loch Linnhe. 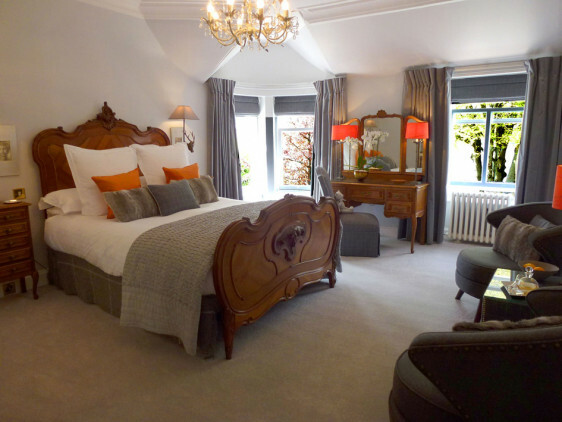 Family and dog friendly, comfortable, spacious suites, some with open fires and superb in-suite dining. There is plenty to entertain the hearty from fly fishing to walking. 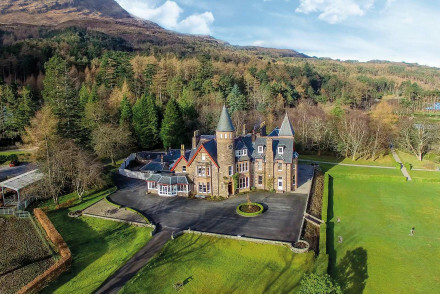 Victorian townhouse turned luxury guesthouse on the western edge of Fort William. 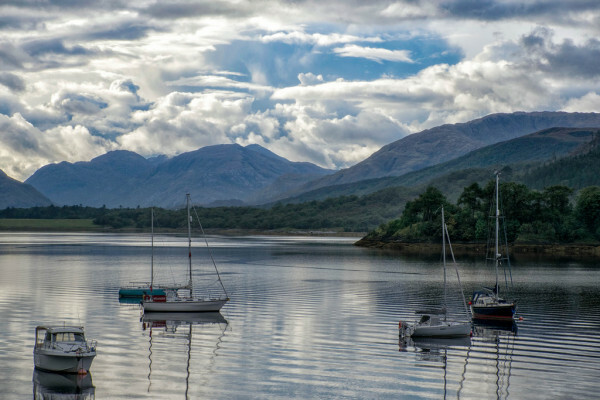 Stunning views over Loch Linnhe to the Ardgour Mountains and more activities in the area than you can possibly imagine. Traditional yet stylish bedrooms with sumptuous bathrooms and views to die for. 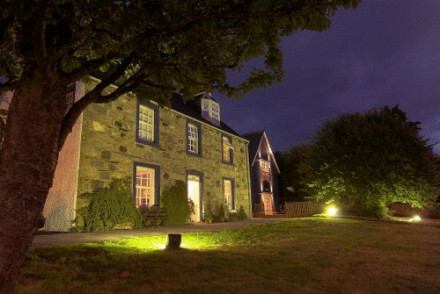 Delightful highland hotel set on one of Scotland's most picturesque links golf courses. 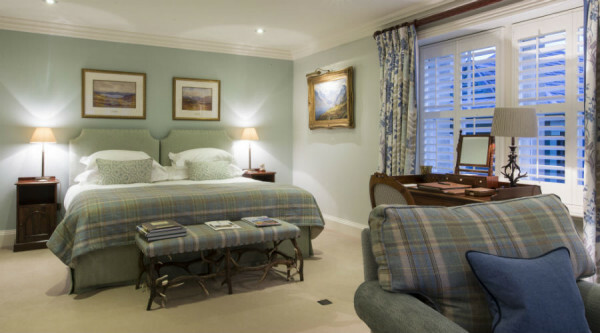 Its rooms have a distinctly Scottish feel with tweed headboards and tartan patterned quilts. 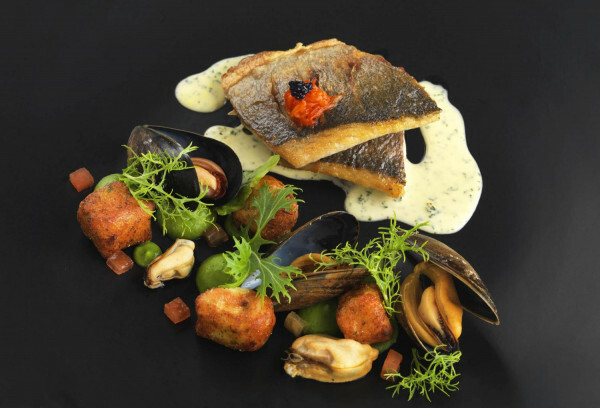 The fine dining restaurant serves an ever changing menu of locally sourced delights and an extensive range of wines. Active Holiday - With golf on the doorstep, walking, shooting and fishing close by, it's the perfect spot for a weekend of country sports. Country Escape - After a long day outdoors, head in to the roaring fires and cosy sofas of the library and sitting room. Fishing - Great salmon fishing in the surrounding areas such as on the river Carron and Helmsdale. Great walks - Beautiful walking in the surrounding Highland countryside.